Slane Castle in Ireland is located northwest of Dublin in County Meath. The castle overlooks the beautiful Boyne River from the 1500-acre estate. Slane castle was reconstucted in 1785. It has been known for many years for the rock concerts held in the natural amphitheatre next to the castle which holds up to 100,000 people. 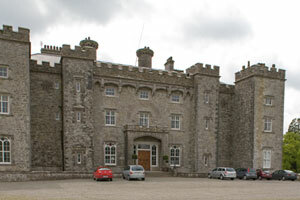 Famous groups such as U2, Bruce Springsteen, The Rolling Stones, Bob Dylan, David Bowie, Queen, the Red Hot Chili Peppers, REM, and Madonna have performed at Slane Castle. Celtic Woman recorded their music dvd on location at the castle in 2006. 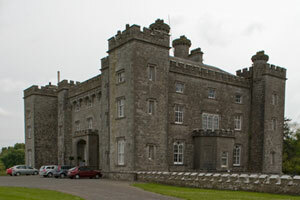 The concerts at Slane Castle have been arranged by the current resident of the property, Lord Henry Mount Charles, heir to the title Marquess Conyngham. In 1976 he returned to Ireland at the age of twenty-five to take over his family's castle. He had been educated at Harrow and Harvard Universities and was living in London. He felt the draw of the family legacy as well as the beauty of the Valley and his country and decided to return to his childhood home. 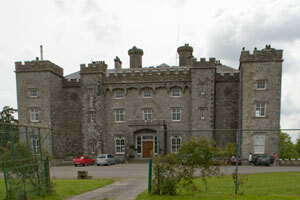 Slane Castle has been in Henry Mount Charles' family since 1701. King George IV of England was romantically involved with Henry's great, great, great, great grandmother, Elizabeth. Since the King traveled the road from Dublin to Slane when he visited, it is considered no coincidence that it is one of the straightest roads in all of Ireland. Prominent architects and landscape designers have been employed over the years to make the castle, including the Gothic Ballroom, the magnificent Main Hall, the Drawing Room, the famous King's Room, and the parklands, a beautiful property. 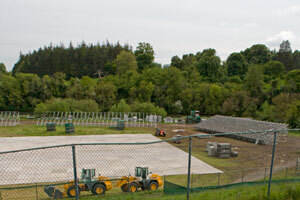 The concerts, music recording sessions, and movie filming at Slane Castle in Ireland started in 1981. Ten years later, a tragic fire took place in the castle. It took a decade to restore the property. It is now a popular setting for weddings, conferences, tours, as well as for the yearly concerts. Luxury accommodations in the castle are available on an exclusive basis by private arrangement. If you would like to tour the castle, you should check the Slane Castle website and call ahead for the current schedule. Slane Castle in Ireland is 25 minutes from Dublin Airport. 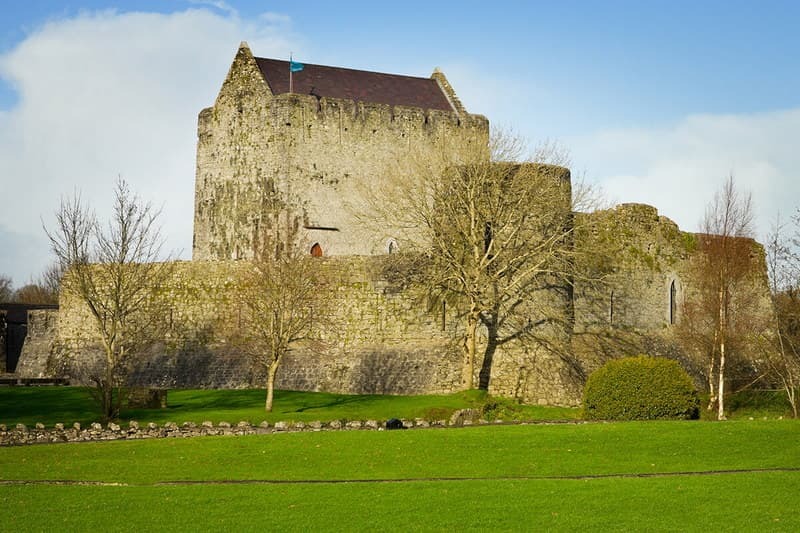 There is plenty to see while you are visiting County Meath. Nearby sites include the amazing 5000-year-old passage graves of Newgrange, Knowth and Dowth, and the Battle of the Boyne site. The Hill of Slane is not only a scenic overlook, but is also the site where St. Patrick lit a fire in 433 to signify the arrival of Christianity in Ireland. To get from Dublin Airport to Slane Castle take the second exit (signposted Way Out) at the first roundabout. Turn right onto Swords Road - R132 (signposted Santry). Turn right again. Turn right onto the R108. Turn right onto the R122. At the roundabout, take the first exit onto Newtown (signposted Ashbourne (N2), Blanchardstown). Continue to Dunsoghly. Continue to Newtown. Bear left. At the traffic signals, turn right onto the N2 (signposted Derry, Ashbourne). Continue to the N2 to Slane exit. Follow the signs to Slane and Slane Castle.